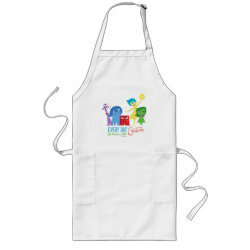 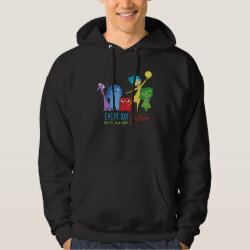 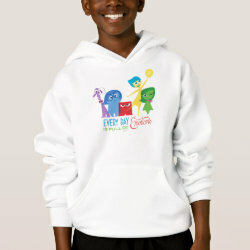 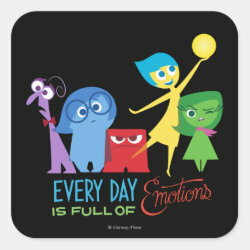 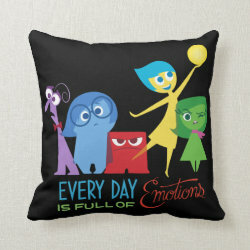 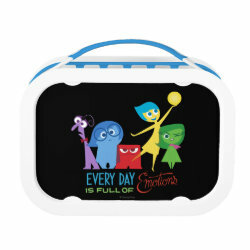 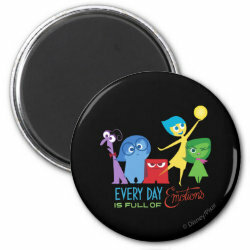 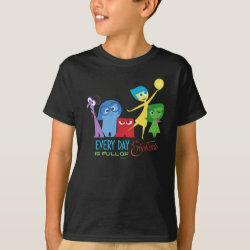 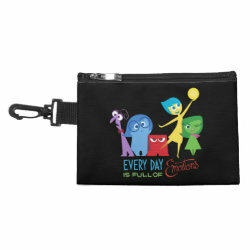 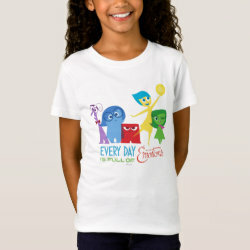 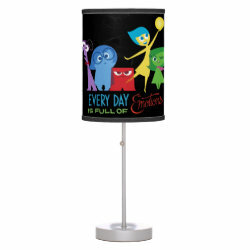 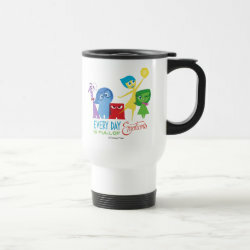 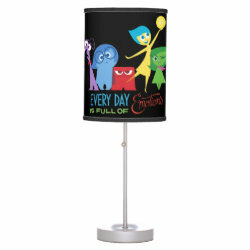 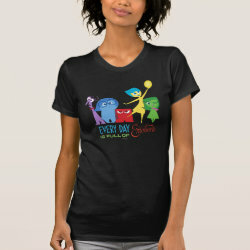 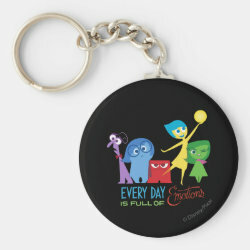 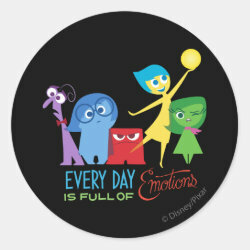 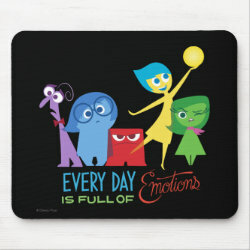 All five emotions from Pixar's Inside Out are together on this cute design from the official Disney merchandise store at Zazzle. From left to right More... are cute iconic shapes of Fear, Sadness, Anger, Joy and Disgust above the words: "Every Day is Full of Emotions" in different colors. 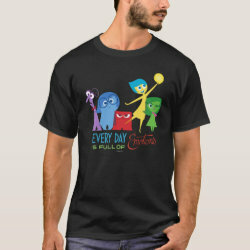 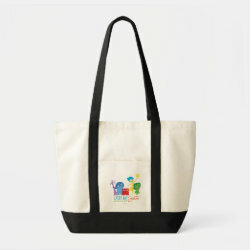 The design is available on customizable t-shirts, mugs, binders, stickers and much more. 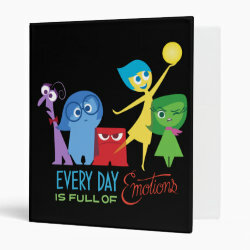 Great gifts here for anyone with lots of emotions. 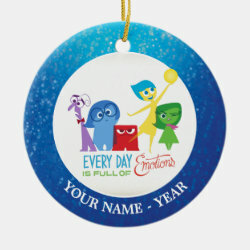 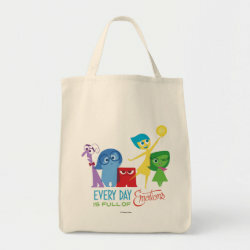 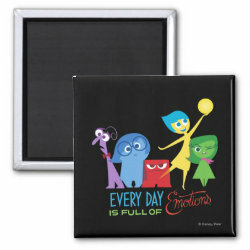 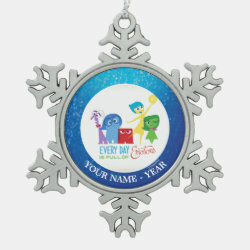 Surprise your family or friends with one of these original Inside Out gifts and cheer up their day!